Branding your business is about placing your product, service or the business itself clearly in the minds’ eyes of your target markets. It’s about helping your potential and current customers to build an image of what your business, service or product represents in the market. Ultimately, branding is about making your product or service appeal to your target market, by differentiating it in an attractive, compelling manner and advocating its benefits and value. We can readily relate to the branding work of major international businesses. Think of car brands, for example. We have an image of what a BMW represents, as we do for a Ford or any other well-known brand. Read this interesting case study of how Skoda used a SWOT Analysis to re-position its branding. Read my thoughts on Applegreen petrol stations in this post. When it comes to smaller, local businesses, achieving branding clout can be a little more tricky. Clearly, a local business does not have the luxury of a large budget through which it can emit positive branding messages. This is where word-of-mouth comes in, supported by the increasing role played by social media. Where once branding your business was predominantly determined by communication emanating from the business itself, increasingly it is subject to analysis and comment from the market. You might like to state that your brand represents X, but if the social media world has decided it’s really more along the lines of Y, then that’s it! In today’s market, more than ever before, it’s the actual actions and delivered service or product that influence decisions of consumers and buying organisations alike. Your performance must match the branding message you are putting out. Do so and your market will react positively. Do not and the social media world will tell you quickly that your performance does not match your branding. In that scenario, the market will be only too pleased to tell you what your brand really represents. So keep developing your brand and your message to convey its values. But also keep communicating in both directions with your target markets : listen and learn from them what their perception of your brand is. And get into video marketing. Video is a wonderful way of communicating your ‘vibe’, an essential part of your branding. This is communicating your brand in a more personal manner. Stick your video up on your website and share it out across social media channels. As well as directly helping your branding, it’ll increase traffic to your site! Blue : Trustworthy, dependable, secure, serene, universally well-liked. Red : Aggressive, energetic, provocative, passionate, danger, indebtedness. Green : Health, freshness, serenity, natural, calming. Yellow : Optimism, positivism, light, warmth, creative, energy. Note that yellow is the first colour the eye sees [often employed in PoS]. Purple : Creativity, mystery, sophistication, spirituality, nostalgia, sentimentality. Pink : Energy, youthfulness, fun, excitement, less expensive, trendy. Orange : Cheerful, exuberant, fun, vitality, childlike. Peach : Peaceful, enriching. [often employed in healthcare, restaurants, beauty salons]. Brown : Earthy, simplicity, durability, stability, dirty or hiding dirt. Black : Bold, powerful, classic, sophisticated, expensive. White : Simplicity, cleanliness, purity, health-related. 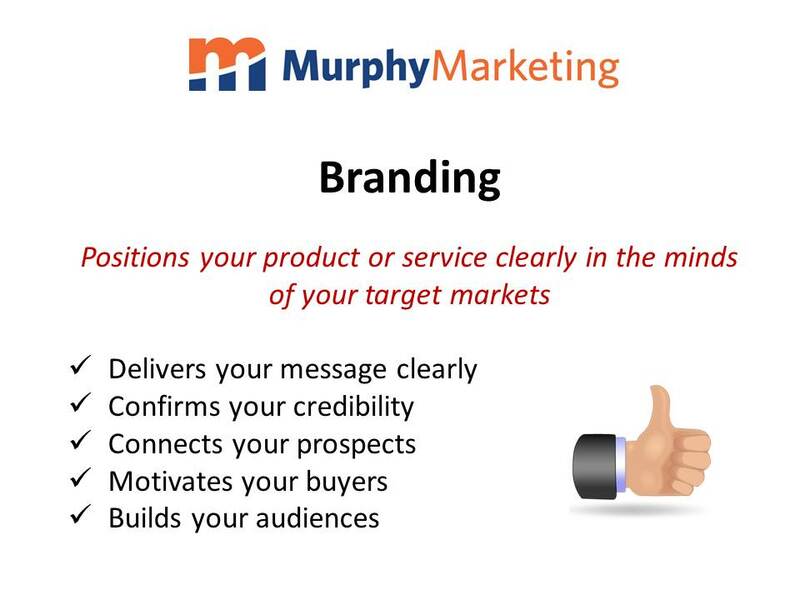 Keep in mind that branding your business is an ongoing effort – a two-way thing going on between you and your target markets!